ProCraft Corporation was founded by Jim Wilcoxen in 1991 in an effort to become the premier custom millworking provider in New England. Jim’s devotion to excellence in everything that he puts his hands to shows in every project that ProCraft is involved in. Jim leads a team of expertly skilled craftsman that pride themselves on tackling the toughest custom jobs around. Over the years, the company has been fortunate to work on a wide variety of projetcts providing custom millwork, institutional casework, fine woodworking and installation for banks, medical offices, hospitals, schools, food service establishments, hotels, Government properties and luxury homes. 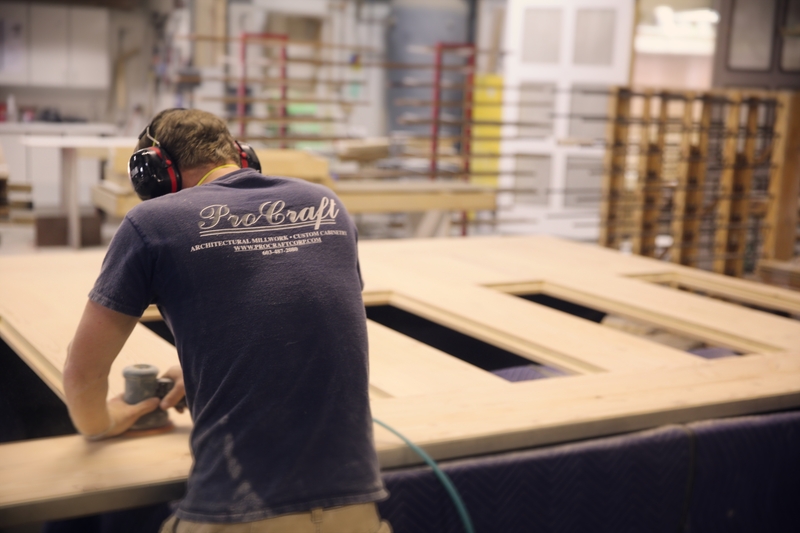 ProCraft is proud to be a member of the Architectural Woodwork Institute, assuring each client the highest woodworking standards available. in the marketplace. ©2017 ProCraft Corporation | All Rights Reserved.